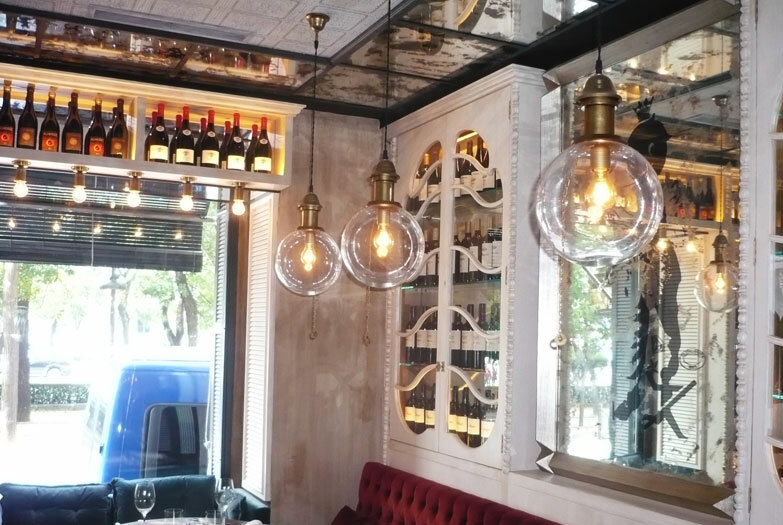 We all have a more punk backhand Bach side, a rogue side and a calmer side and this restaurant located in the Paseo de la Castellana in Madrid has a bit of everything. 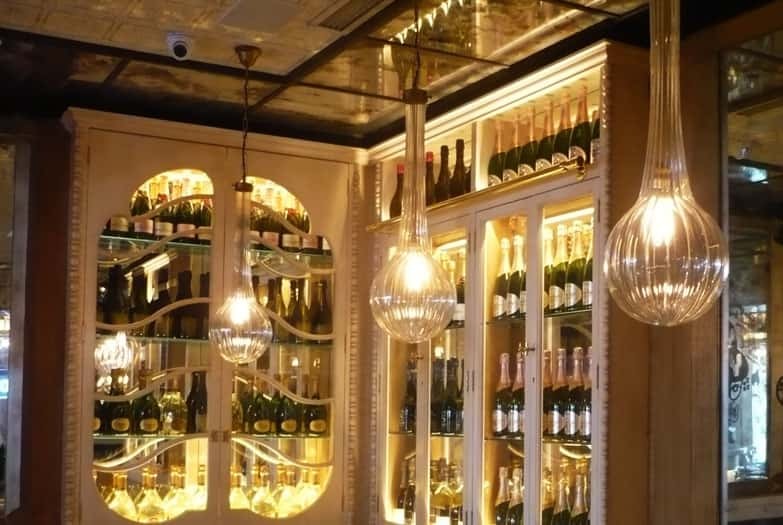 Decorated by the studio of Lázaro Rosa-Violán, on the premises of 90m2 emphasising dark wood, velvet and a colonial atmosphere mixed with Balthazar neo-york style with touches of illustrated brassiere. 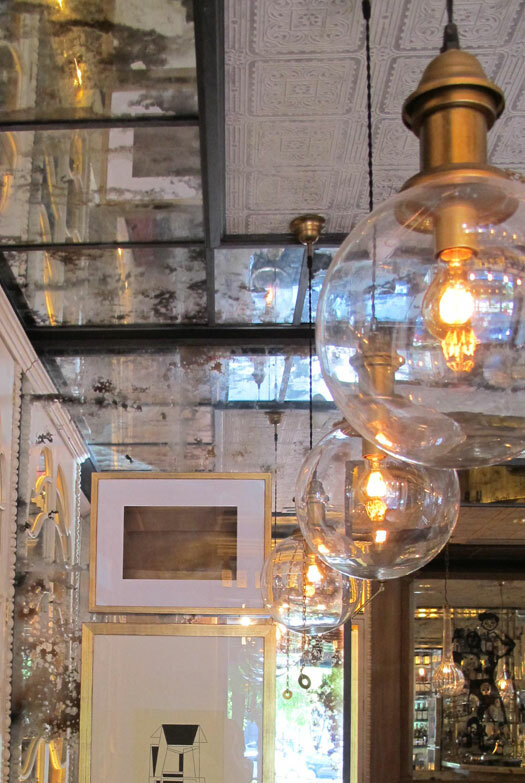 For this multi-faceted place, we custom-manufactured a lighting project featuring trumpet-shaped pendants in striped glass, suspended by a chain and an aged brass effect finish that provides a pleasant warm light. 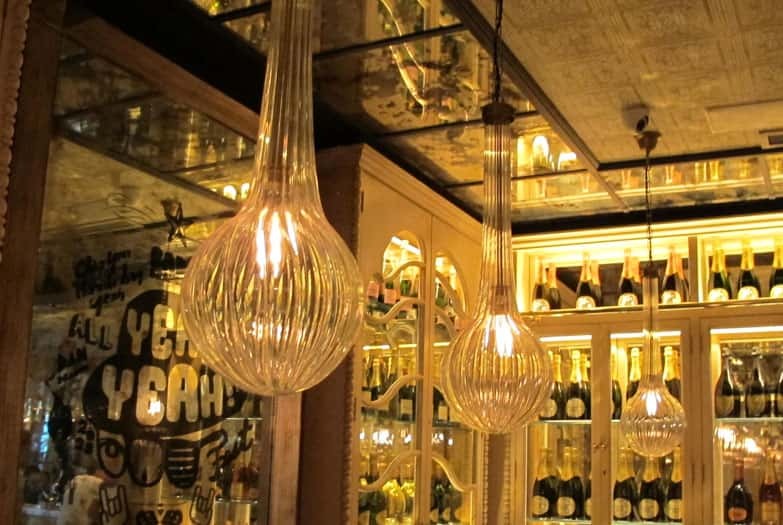 We also manufactured some pendants in the shape of a glass ball, suspended by a textile cable and finished in aged brass to match the trumpets. 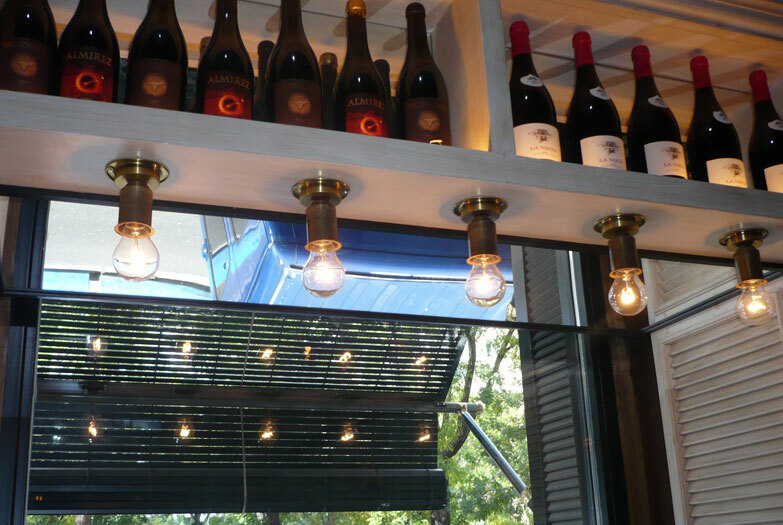 To complement this lighting, we manufactured small panels of vintage inspiration. 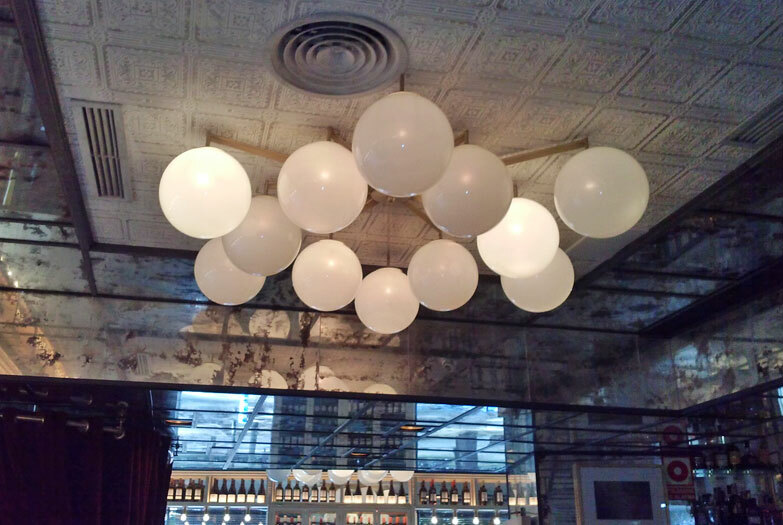 To illuminate the bar area, we tailor made a large light fitting with white and gold cylinders and a lamp with a brass structure in the shape of a star with opal glass balls. 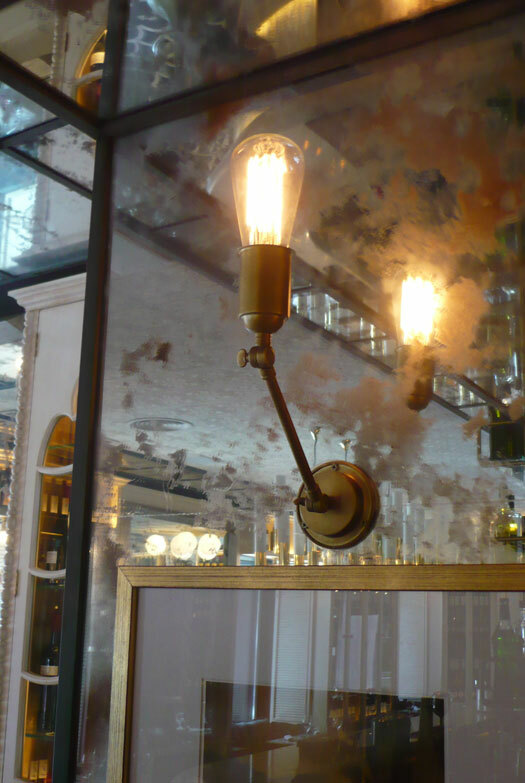 The lighting is complemented by vintage wall sconces, with a pebble bulb and a brass finished body. 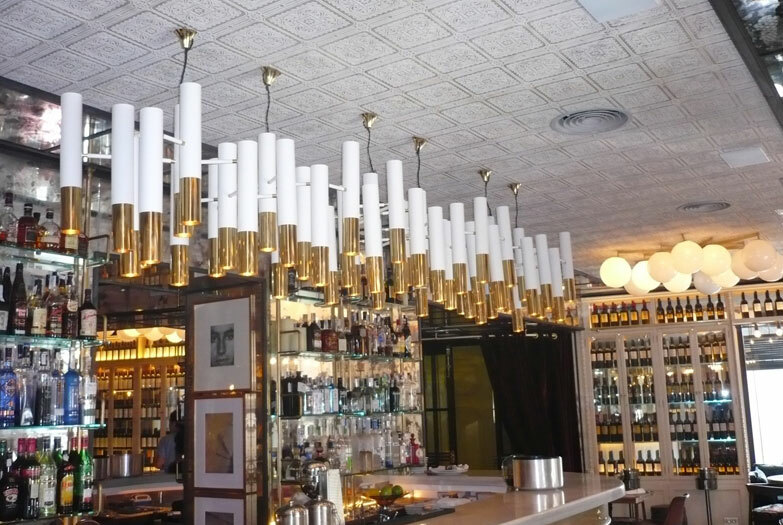 One of the most spectacular parts of Punk Bach is the service, which unveils the most rogue side of the premises, in Dajor we highlight the sconces we manufactured for that space. 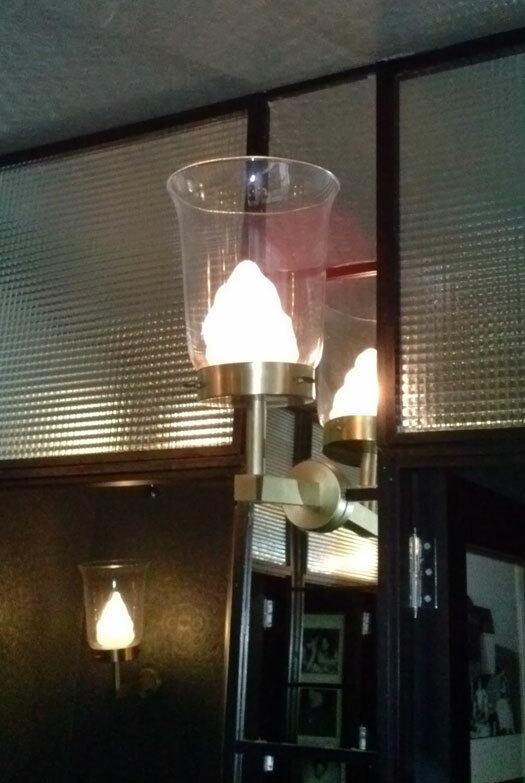 A light fitting with a chromed body and a transparent glass tulip, where inside is an opal glass cone that provides a very modernand very “punk” touch in the space you least expect it.